348 in stock Need More ? 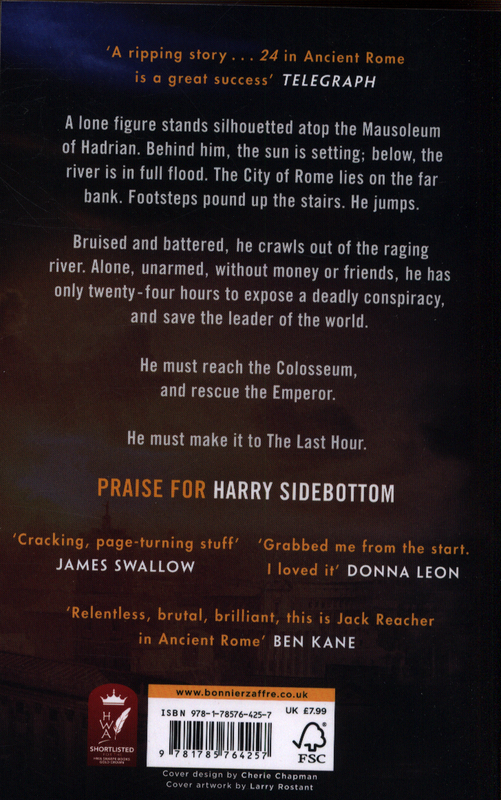 'A ripping story...this transplanting of 24 to Ancient Rome is a great success' TelegraphFor readers of Bernard Cornwell, Ben Kane, Simon Scarrow and Conn Iggulden, this is a thriller that will keep you on the edge of your seat. A lone figure stands silhouetted atop the Mausoleum of Hadrian. Behind him, the sun is setting over the centre of the known world. Far below, the river is in full flood. The City of Rome lies spread out before him on the far bank. Footsteps pound up the stairs. He's been set up. An enemy is closing in; he is cornered. He jumps. Bruised and battered, he crawls out of the raging river. He is alone and unarmed, without money or friends, trapped in a deadly conspiracy at the heart of the Empire. The City Watch has orders to take him alive; other, more sinister, forces want him dead. As the day dies, he realises he has only 24 hours to expose the conspirators, and save the leader of the world. If the Emperor dies, chaos and violence will ensue. If the Emperor dies, every single person he loves will die. He must run, bluff, hide and fight his way across the Seven Hills. He must reach the Colosseum, and the Emperor. He must make it to The Last Hour. 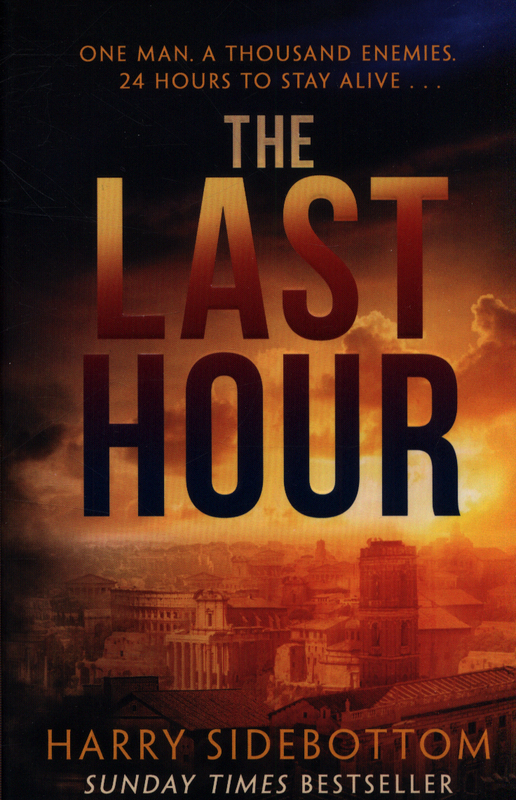 Praise for The Last Hour:'Relentless, brutal, brilliant, this is Jack Reacher in ancient Rome' Ben Kane'A cracking tale. More twists and turns than the Tiber itself' Rory Clements'Cracking, page-turning stuff' James Swallow'Grabbed me from the start. 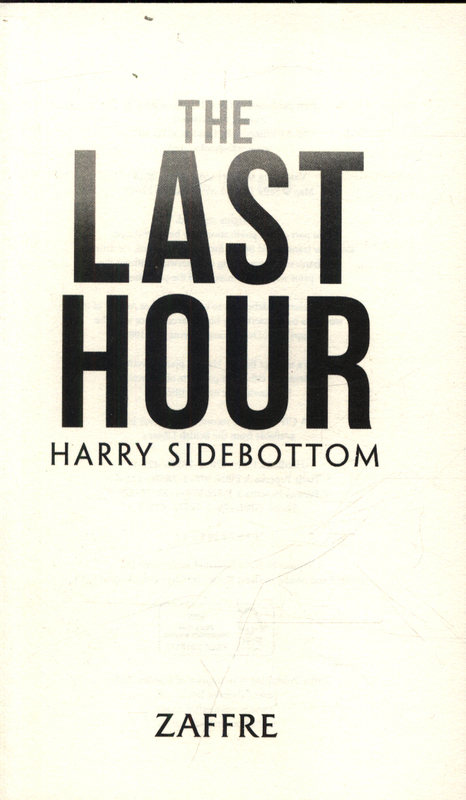 I loved it' Donna LeonPraise for Harry Sidebottom:'Makes you feel as though you are there' Bettany Hughes, The Times'Harry Sidebottom's epic tale starts with a chilling assassination and goes on, and up, from there' Mary Beard'An amazing story of bloodlust, ruthless ambition and revenge' Kate Saunders, The Times'An extraordinarily vivid take on the ancient world. 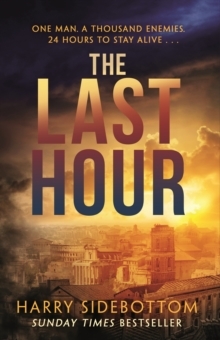 Think of The Killing crossed with Andy McNab crossed with Mary Beard, and you're there' David Sexton, Evening Standard'Ancient Rome has long been a favourite -destination for writers of historical military fiction.